Are you interested in making a career as a licensed practical nurse? Then here’s all the information on what being LPN is all about and how you can become one. You need to have either a high school diploma or a General Educational Development (GED) score, for starters. The program that you’re applying for may require you to complete certain prerequisite courses and subjects so that you can understand its curriculum better. There is also usually a minimum grade that you have to achieve as well as a minimum number of credit hours that you need to complete for these courses. A Certified Nursing Assistant (CNA) certification may be required by the accredited LPN program that you want to attend. Appearing for ATI TEAS (Test of Essential Academic Skills) entrance exam and securing a minimum score could also be one of program’s entrance requirements. 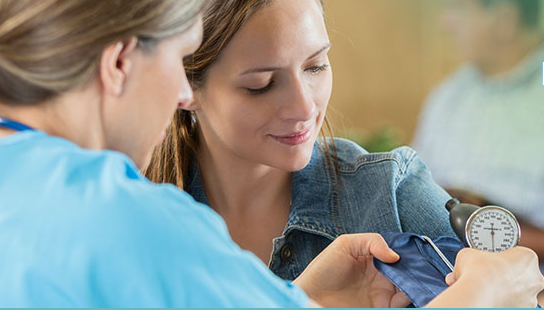 Now it’s time for you to decide on a reputed accredited LPN program that you want to enroll in for your licensed practical nurse training. The program should be state-approved and offer a good balance of theoretical and practical training. The duration of the program can be anywhere around 1 year and after successful completion of the program you’ll receive a diploma. After you are done with your practical nursing program, you are now ready to sit for the National Council Licensure Examination for Practical Nurses (NCLEX-PN) exam in order to earn your license and finally become a licensed practical nurse. Do keep in mind that this license will expire after a certain period of time and you’ll need to renew it. Becoming LPN opens up many doors of career opportunities for you. In this position, you’ll get to work under the guidance of doctors and registered nurses and serve the basic medical care needs of the patients. You will have many options in choosing your preferred workplace setting, this could be hospitals, patient private homes, nursing home facilities, doctors’ clinics, rehab centers, schools and universities, community health clinics, etc. As far as duties are concerned, these could include collecting blood and other samples, taking patient’s vital signs, observing patients for any change in condition and reporting about the same to nurses and doctors, changing IVs, catheters, wound bandages, administering medications, maintaining patient’s medical chart, and several other tasks. You can also go for advanced education and become a Registered Nurse, by taking up LPN-to-RN programs, either going the route of LPN-to-BSN or LPN-to-ADN. Whatever degree you choose to complete, you’ll need to clear the NCLEX-RN exam to begin your practice as RN. It’s easy to see how becoming LPN can be the start of a wonderful career in nursing field.